Despite overwhelming public disapproval of genetically modified crops, the Merkel government is reluctant to prohibit imports of GM soy and corn. EURACTIV Germany reports. “The German government will thoroughly investigate the proposal,” said a spokesman from the Agriculture Ministry, in response to an initiative the European Commission presented on Wednesday (22 April). But already, he said, “negative effects on the free movement of goods on the EU internal market can be feared”. The European Commission has proposed giving member states the right to impose their own national import bans on genetically modified fruits and vegetables – even if these foods and feeds are permitted at the EU level. “The new concept is intended to find the right balance between maintaining an EU approval system and giving member states the opportunity to freely decide on the use of GMOs within their own territory,” a Commission spokesman said. 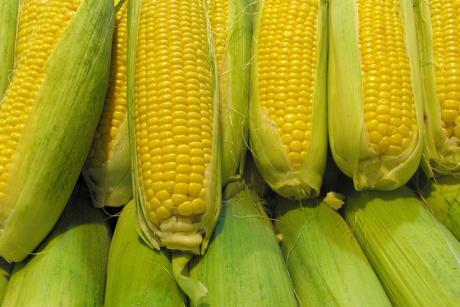 Meanwhile, the German government is decidedly against cultivation of genetically modified organisms (GMOs) and is currently in the process of developing a national ban on cultivation. But Berlin has been more reserved on the issue of also imposing a national import ban on GM products, as proposed by the European Commission. The Economic Affairs Ministry’s spokesman argued that a national import ban would raise considerable legal concerns in the World Trade Organisation. “It is also unclear (…), according to the proposal, how usage restrictions or bans are supposed to be monitored in practice,” he warned. GMOs are already imported on a large-scale to be used as livestock feed in Germany. Pigs, for example, require a protein-rich diet to grow more quickly. The soy used as a protein supplement to mix into their feed is most often imported because less than 10% of Europe’s soybean consumption is covered by its own production. Earlier statistics from the NGO World Wide Fund for Nature (WWF) showed over 80% of German soy imports come from genetically modified plants. Meanwhile, the German Farmer’s Association (DBV) sharply criticised the European Commission’s plans. “Commission President Jean-Claude Juncker’s plans will ruin the European market,” said DBV secretary-general Udo Hemmerling. There should be uniform approval procedures for imports from third countries, he emphasised. Greenpeace called the initiative deceptive packaging, saying it will lead to more GMO food consumption in the longer-term. National import bans come with significant legal problems and could be contested by the GMO industry, the NGO said. According to Greenpeace’s numbers, 17 GM plants are just ahead of import approval in the EU, and another 40 have applied for approval. Critics believe GM plants pose risks to the environment and health. Proponents indicate higher yields thanks to genetically engineered characteristics, such as resistance to parasites and herbicides. Rejection of food produced from GM plants prevails among the German public, while there is overwhelming acceptance of the practice in the United States. US companies like Monsanto, Dow Chemical and Dupont make billions in revenues on GM seed sold worldwide. In Europe, BASF, Syngenta and Bayer Cropscience are among the leading GMO manufacturers. The European Commission proposed allowing national cultivation bans for GMOs in July 2010, in a bid to break a deadlock in the EU of GM crop approvals, which has seen few varieties approved for cultivation over the last 12 years. In the EU, only one GM crop is approved for commercial cultivation: insect-resistant maize, MON 810. Of the total area of GM maize grown in the EU in 2012 (129,000 hectares), Spain contributed more than 90%. The proposal, which was backed by the EU’s 28 environment ministers in June 2014, gives back “full responsibility” to member states over the cultivation of GMOs on their territory. For the first time, it formally allows EU countries to opt-out from the Europe-wide approval system. So the Trade Minister from the USA is nonplussed and disappointed. What a shame it is that the People have spoken – albeit it was not an out-right and total ban. The issue here is that there are still loop-holes of bypassing the controls, and so the Public will now step up its rights demanding that all and every food stuff fully shows the Country of Origin as well as the Use of GMO products within. And for sure if this is not declared a total boycott will ensue. We CANNOT AND MUST NOT ACCEPT GMO PRODUCTS HERE IN THE EU EVER.